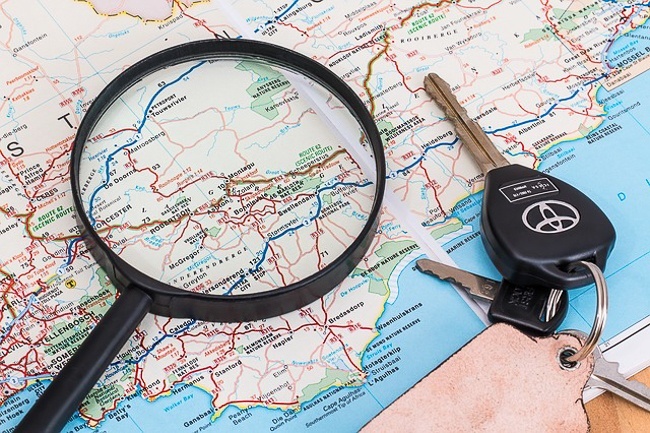 You’re planning to hit the road and need a complete road trip packing list with all the travel-tested road trip essentials for a successful trip. Well, you’re in the right place! 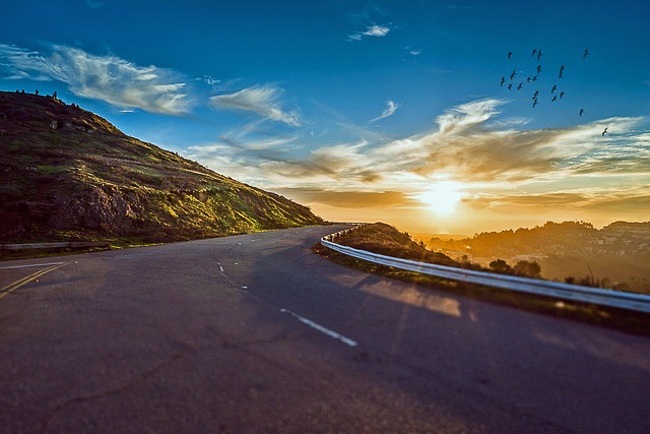 We all know the main reason most people love a road trip, flexibility and being in control of the journey. But, the next biggest reason is people want to pack whatever and however much they want. Vacation without bag fees or having to throw away oversized toiletries. Amen to that! And, along the way, I’ve made more road trip mistakes than I can count. But, I’ve also learned A LOT, too, and I’ve put it all together in this mega what to pack for a road trip guide. 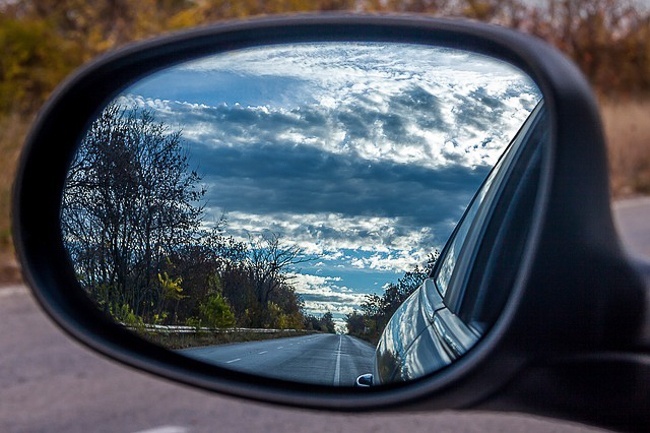 You can fill your car with whatever and however much you want, but if don’t have the road trip supplies you need for a successful trip, things can go south quickly. Pin this Road Trip Essentials Guide to your Pinterest travel board. 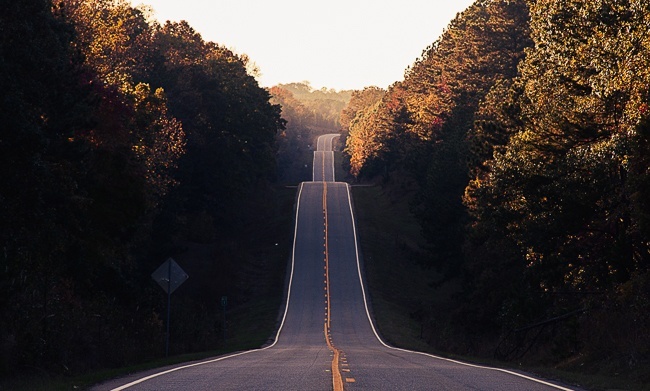 When planning a road trip, there are road trip necessities for both you and your car. Let’s start with the car. After all, it doesn’t matter how comfortable you are if there are car troubles, right? 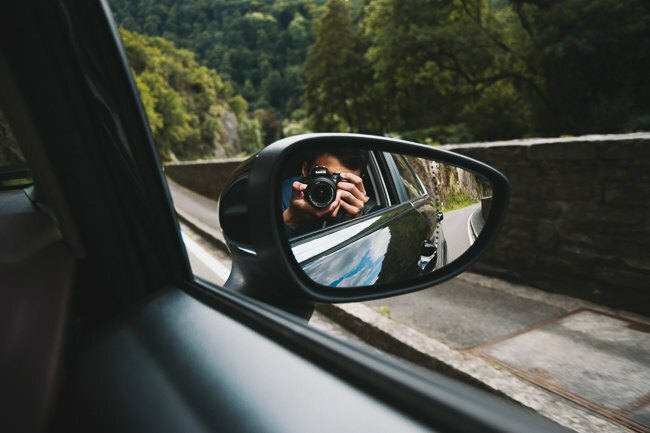 First and foremost, whether you’re driving your car or a rental, don’t leave without having these road trip car essentials. Water Resistant Flashlight…coincidental that car trouble always happens at night, in the rain?? No one wants to break down and certainly many road-trippers have fun, incident-free adventures. But, it still pays to be prepared. Don’t leave home without a roadside emergency kit. Even though you may have some of these items at home, like an air compressor or materials to repair a tire, I like having a complete kit. Not only is it convenient. it likely includes things you didn’t think of and is expertly packed to save space. 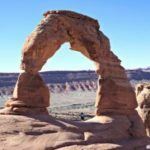 If you’re driving in remote areas, like driving in Utah where there are long stretches without gas stations, you may also want to have these supplies. Portable Gas Container…great peace of mind when the next gas station isn’t for a long time! 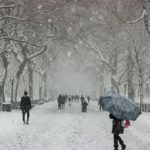 A winter road trip packing list should also include things to keep you safe from snow and ice. Ice Scraper…not fun doing this by hand! Before getting into a list of must-have road trip items, there are 2 that deserve a special call out. First, every successful road trip includes a paper map like this. Smartphone apps like Google Maps and Maps.me are great, but when you lose service in remote places, the ability to get step-by-step directions disappears, too. Absolutely use the apps, but have a paper map, too. Get a map with roads, landmarks, and information for an entire region instead of for just 1 area. It’s perfect for those spontaneous whims along the way! Second, it’s important to bring a First Aid Kit. Obvious, I know. But, not having what you need for an injury can, at the very least, ruin an entire day of your trip. 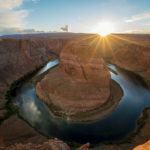 Besides these road trip basics and whether your trip is long or short, solo or as a family, you’ll want to also have these things in the car. Hands-Free Phone Mount…saftey + easy to see Google Maps for navigation = WIN! Paper Money and Coins…for parking meters, air pump at gas stations, tolls, broken ATMs, laundromats, etc. Gas, Dining, and Travel Rewards Credit Card(s)…Whether you earn cash back, miles, or points, make sure the money you spend on this trip is helping you earn for the next one. Let’s switch gears (couldn’t help myself!) away from the car and think about you and the other people on this road trip. 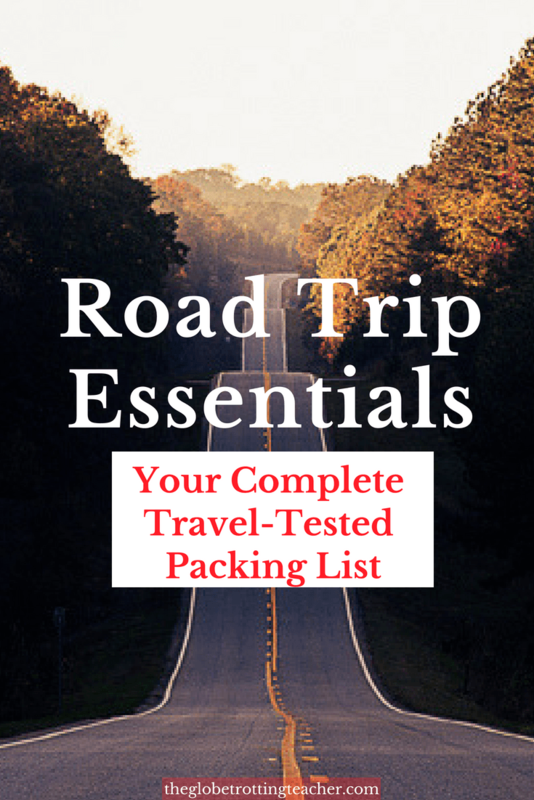 These next sections are broken up into road trip necessities lists that cover being comfortable in the car, entertainment, personal items, and food. Keeping everyone in the car happy and relaxed is so important! Snacks, entertainment, and interesting sights won’t be of much help if you’re not comfortable. So, be sure to stock the car with these things you need for a road trip. Extra Layer of Clothing…I always keep one of these fleece’s handy. They’re perfect for hiking, temperature changes, and when someone blasts the AC. Travel Cup…coffee to-go, a must! Pain Killer…headache, body ache, etc. Towel(s)…sudden rainstorm, someone actually jumps in a lake, etc. 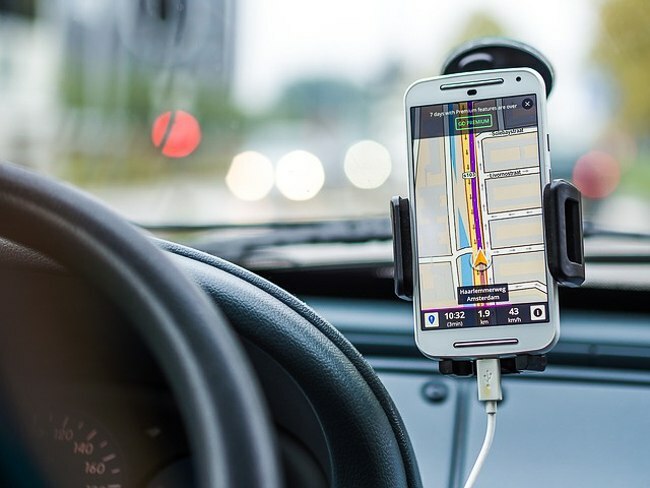 From iSpy to the License Plate game to high tech gear and gadgets, take your road trip entertainment as seriously as things to pack for a road trip! It can be an all-out sanity saver, especially for families with kids. Of course, recording and capturing the journey is half the fun. In addition to a smartphone camera, I always have my favorite travel camera. When I travel with my nieces and nephews, they love to bring this instant camera! If your road trip is packed with action-packed adventure, you may also want to bring along an action camera like I do. Unless you have satellite radio, you can almost bet you’ll lose a clear radio signal at least once on your drive. What’s more, you’re likely to go through stretches where only a couple of stations come through and the chances of them playing all your favorite songs are slim to forget about it. This means it’s all about playlists! You’ll want to make sure there’s a variety of music that’ll keep the whole car happy. 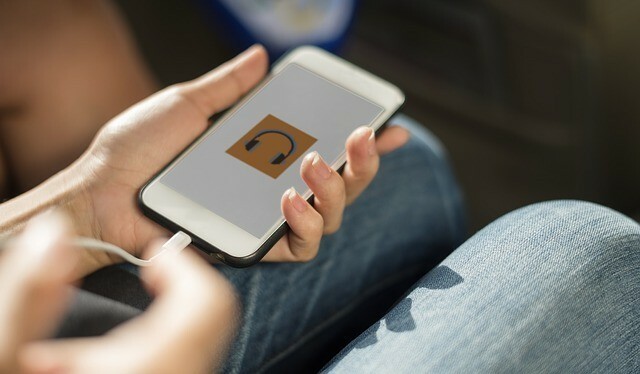 Amazon Music and Spotify give you access to millions of songs that can be grouped into playlists and downloaded onto your device so you can listen without an internet connection and/or save data from the road. Plus, both offer free trials, free plans, and even super cheap promotions for premium so you can test them out before your trip. Similarly, subscribe to some podcasts through your device’s Podcast app. Be sure to download the episodes before you leave home or from a wifi so you can listen to them with streaming data. My favorite road trip podcast is Radiolab! 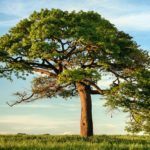 If you’d prefer longer in-depth stories, Audible and Audiobooks.com have huge libraries, also with free books as part of a free trial. Download books for hours of any time listening! And, whether you want to read in the car, around the campfire, or in your hotel room, save space in the car with a Kindle or download the Kindle App to any device. You can purchase a few books or try Kindle Unlimited free. Of course, road trip must-haves aren’t all electronic. Non-electronic options are great for all-important laughs, memories, and bonding, not to mention how relaxing it can be to disconnect for a while! 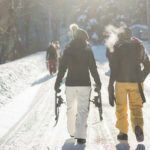 Consider these group and family activities to make the time on those long stretches of road fly! How to pack for a road trip is not like packing for other trips. To start, you need clothes that’ll be comfortable to wear in the car for a long distance and clothes for wherever you’re going. I like to wear my leggings and flip flops in the car, but I have hiking pants and hiking boots for outdoor adventures. Second, you may or may not want to store your clothes and personal items in a traditional suitcase. Here are a few road trip packing tips. Duffel Bags and backpacks hold as much as a suitcase but can be squished into smaller places in the car. If you’re planning to make multiple short (1-2 night) stops, pack a daypack with just the things you need for an overnight stay. 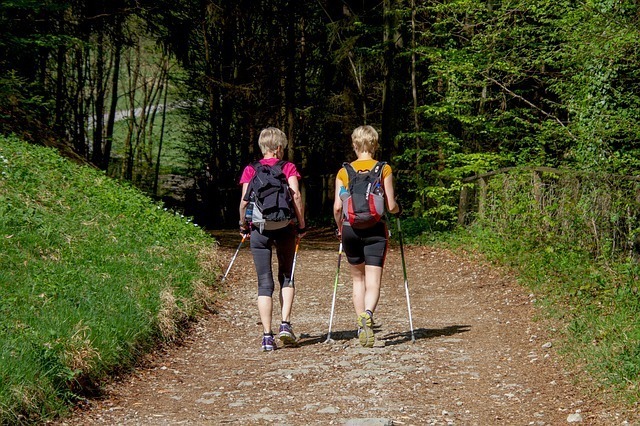 It’ll also come in handy for day hikes or day trips. Think out of the suitcase box for clothing storage. It could end up being more convenient and save space. Use packing cubes to organize clothes and just grab the cubes you need from the car. Similarly, use drawers to pack and then just pull the drawer you need instead of lugging all your things from the car. For campground, rest stop, and even hotel bathrooms, a hanging toiletry tote bag can help keep your items organized and away from less than sparkling sinks and toilets. As for the specifics of what to take on a road trip, pack clothes with you to match your destination, the activities you want to do, and the weather. Heading to the beach? 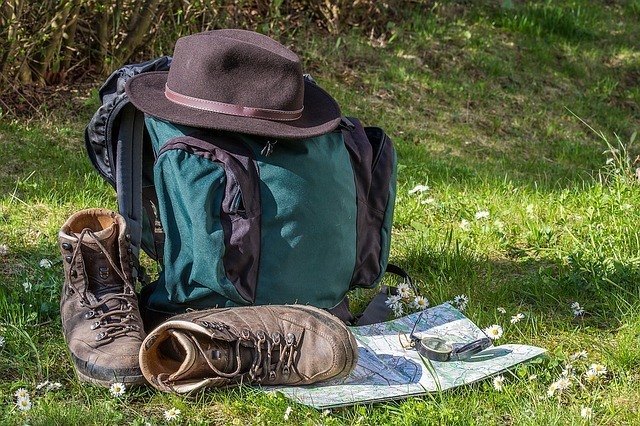 Going to a National Park to hike? Roadtripping in winter or fall and need warmer layers? Clothes should feel good to wear, have multi-purposes, and be worn a few times. I never pack a shirt if I can only wear it once. Packing wisely also might mean going with a specific color palette. It’ll be easier to mix and match pieces and make different outfits with fewer pieces of clothing. 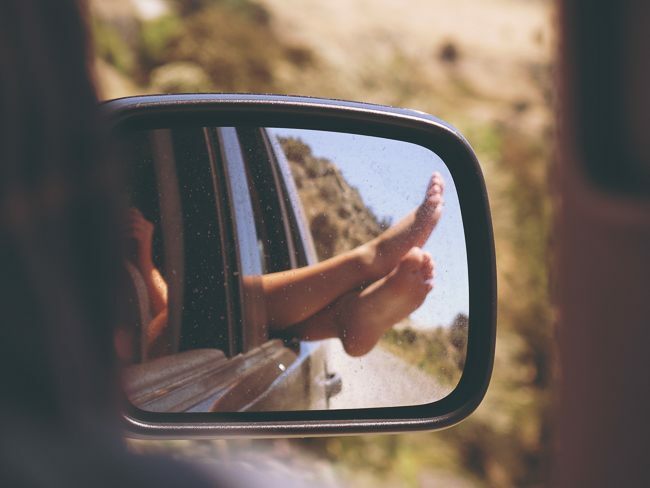 Aside from what to wear on a road trip, your road trip list should include these personal items as well. Sunscreen…if you have highly sun-sensitive skin like me, this is my SPF go-to. Scarf…I take one on every trip because they’re so versatile. Is driving on an empty stomach agony for you, too? It’s as if every hunger pang is multiplied by 100. Neither is it fun or practical to have to search for food every time someone in the car needs some grub. 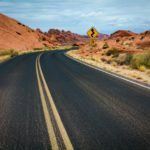 If you’re road tripping in Arizona, for example, you could be searching for a rest stop with snacks for quite some time in the more remote corners of the state! Have a plan for your road trip food strategy. 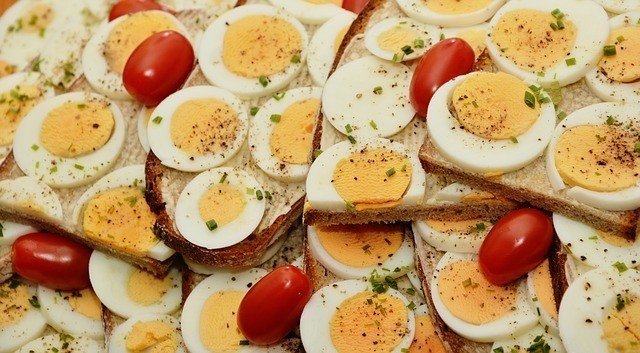 Do you plan to mostly eat out in your destinations and just need snacks for the ride? Then, a cooler bag that is easy to carry and stuffs away when not in use makes the most sense. 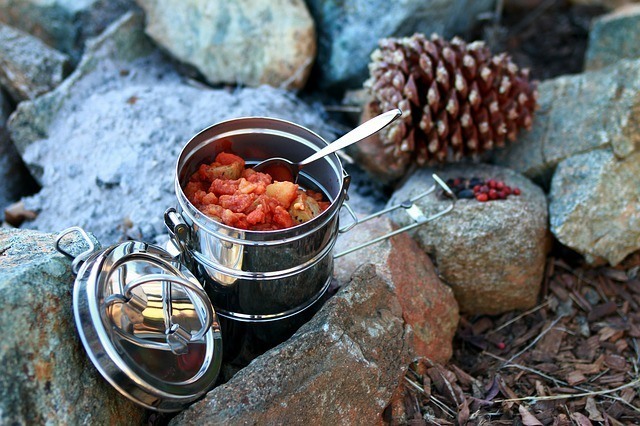 Do you need more food storage for meals, camping, or a more budget-friendly road trip? Consider a larger cooler you can refill with food and ice at local grocery stores. Or perhaps skip the hassle of ice and go with an iceless cooler powered by a charge from your car. If you want to be completely self-sufficient preparing your own meals from the road, this portable grill is the perfect set-up. You’ll also need some basic food storage and eating items. The food to pack for a road trip doesn’t have to be unhealthy snack packs like you’d find in a rest stop gas station. Here’s a list of road trip snacks that are delicious, satisfying, and (mostly) nutritious. Fresh Fruit & Veggies…things that don’t need to be cut like grapes, oranges, blueberries, apples, baby carrots, grape tomatoes, etc. Drink Packets & Tea Bags…easy to mix with water. You’ll notice this list doesn’t include bottles of water. It’s cheaper (and not to mention less plastic waste) to buy larger gallons and jugs of water to refill your reusable water bottle. Finally, these last road trip supplies to consider for those unexpected jams, when you need to make the most of your space, and whether or not you’re camping out. 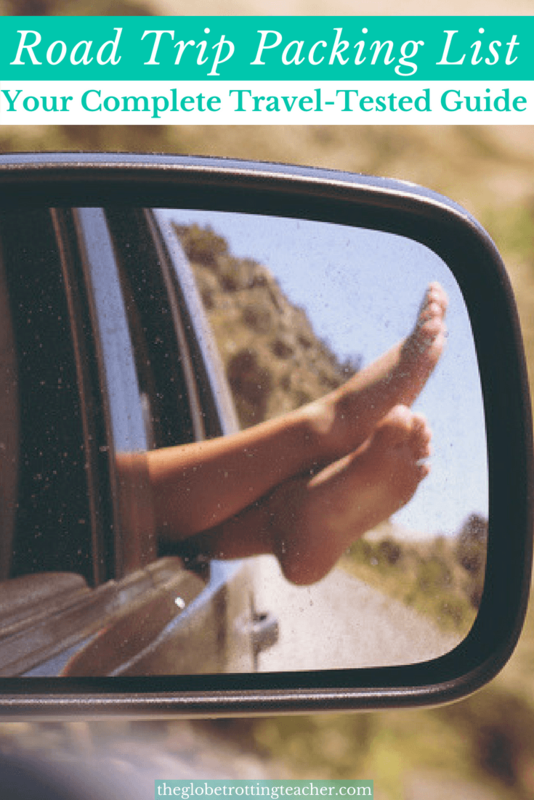 Your road trip list of things to bring is the key to a successful trip. Being prepared means being able to handle any number of situations without them getting in the way of your road trip travel plans. What’s on your road trip packing checklist? 5 Expert Travel Packing Tips + a Fantastic Summer Giveaway! Hi, I work for a magazine called momaha magazine in Omaha. It’s part of The Omaha World-Herald. We would love to mention some of your must haves in an article we are doing on traveling. Would that be OK if we credit you? Thanks for reading, Marjie. I appreciate you asking and have no problem the mention and credit. 🙂 Thanks so much for asking! Thanks for the tips, Sheena. I’ve never rented a luxury vehicle and have had many successful road trips. I do always recommend renting the right type of vehicle for where you’ll be driving. Thanks so much for reading!